Lazio Director Igil Tare has labelled the Brazilian, ‘the best signing,’ he’s ever made, following the veteran midfielder’s wonderful debut season. Liverpool sold Lucas last summer after a decade at the club, but he’s taken to Italy like a duck to water. 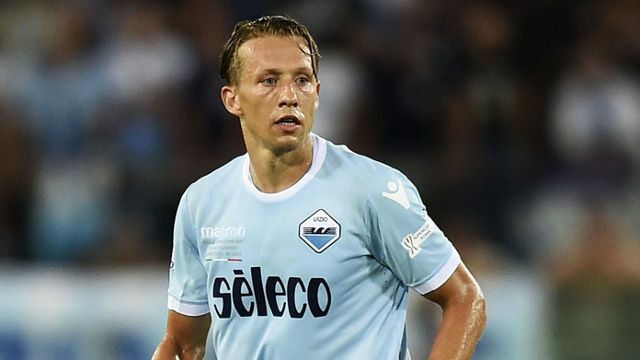 Lazio are 5th, one point off 4th, and Lucas has bagged three goals and registered four assists! We’re delighted for the 31-year-old and that another set of supporters are seeing what he offers on the football pitch. Lucas is solid as they come and terrific at tackling and intercepting, although it seems he’s re-finding an offensive side to his game that was last seen back in his homeland for Gremio! Interestingly, Lucas has been starting alongside the much-coveted Sergej Milinkovic-Savic. The young Serb is a bulldozer of a midfielder and is warranting interest from massive clubs. If Liverpool are one of his potential admirers, we’re pretty sure Lucas will put in a good word!